1 in 3 Americans has prediabetes (that’s over 90 million people). But most of these people won’t do anything to stop it—because 90% of them don’t even know they’re at risk. For the 10% that do find out, their doctor may write them a prescription or worse: do absolutely nothing. That’s a shame, because the most effective treatment for diabetes is not a pill. Nutrition and lifestyle change has been proven to be twice as effective as the leading diabetes medication. Unfortunately, doctors don’t have time to give comprehensive nutrition and lifestyle advice, and they never will. 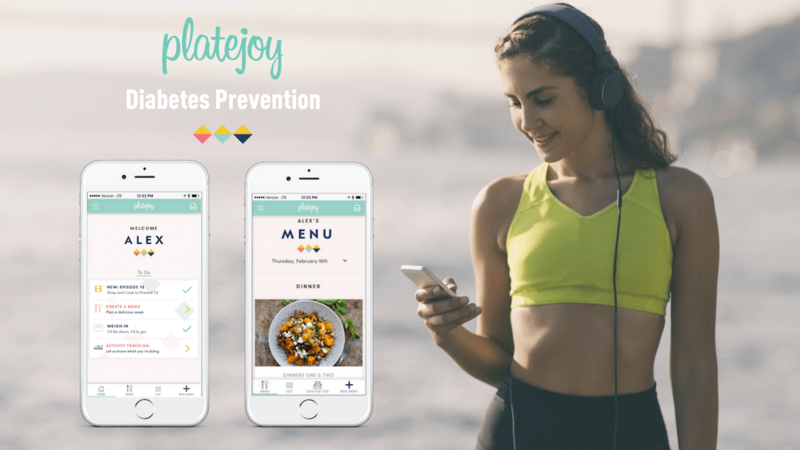 That’s why we’re excited to launch PlateJoy Health: Diabetes Prevention, the all-digital program that helps you lose weight and reduce your risk of developing diabetes through personalized nutrition and education. Starting today, anyone can determine their diabetes risk on platejoy.com and get immediate support with the PlateJoy mobile app. What’s even better? Several insurance providers cover the cost 100%, so over 20M Americans get access to the program for free. That’s because insurance companies know that programs like this are the #1 way to help their patients get healthier (and reduce their costs). Our curriculum was used a study by the National Institute of Health in 2002, and was shown to help users lose weight and reduce the progression to diabetes by nearly 60%, twice as effective as the leading diabetes medication. If your insurance doesn't cover the program, you can still join at a reduced rate of $89. Headquartered in San Francisco, PlateJoy was founded in 2012 by Christina Bognet, an MIT neuroscience graduate who successfully lost 50 lbs by modifying her own diet, with the goal of making healthy eating easier and more sustainable through personalization technology. She was named to Forbes 30 Under 30 list in 2017. PlateJoy has received over $2.5M in funding to date from investors including Y Combinator, Social Capital, Gary Vaynerchuk, Jared Leto, and others.